Antoinette is a Parisian pâtisserie and salon du thé by Chef Pang Kok Keong, one of Singapore’s best pastry chefs. 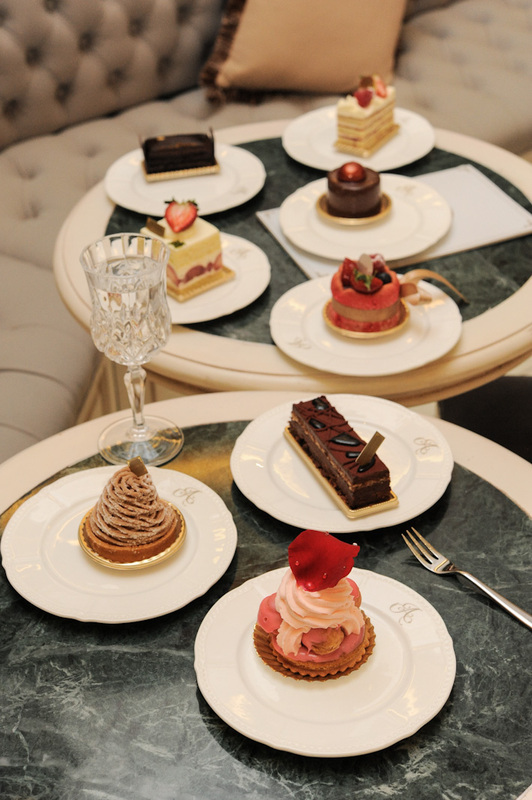 The French patisserie is a great place for a quiet afternoon high tea. If we lived near the Lavender area, we could just imagine ourselves dropping by the Parisian tea salon every other day. Artisan Boulangerie Co. (ABC) is an artisan bakery and cafe led by executive baker Eran Meyer. Besides having a selection of baked goods like baguettes, croissants, eclairs, there is also sandwiches, pies and salads available. Since launching its flagship outlet at Killiney Road last September, Artisan Boulangerie Co has quickly expanded with four more outlets at Great World City, The Metropolis, Asia Square Tower 2, and Vivo City. If you ever do pass by one of their outlets, take a break and go for their beautiful eclairs. 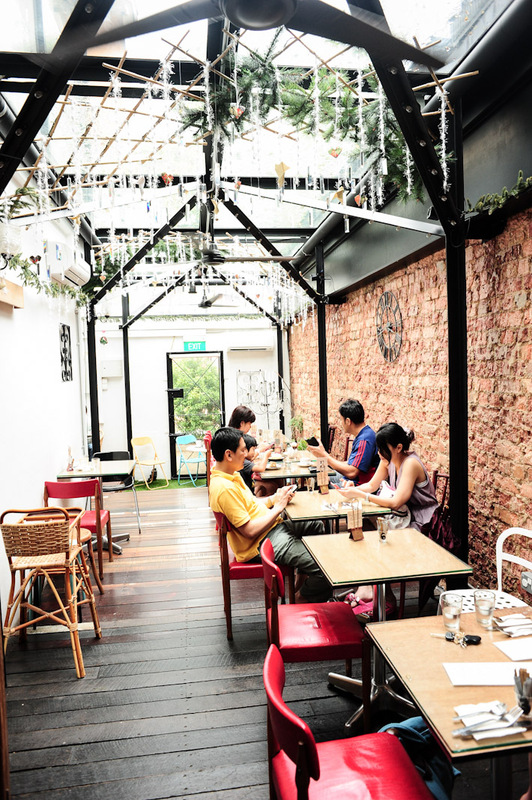 Baker & Cook is a neighbourhood treasure for folks staying in the west of Singapore. Besides having a wide range of bread, the artisanal bakery also offers plenty of sweets and pastries. With branches all over the Island, Bakerzin is a name that will come to mind when we need a quick dessert fix. Some of the popular desserts (or rather my favourite deserts) at Bakerzin include Chocolate Amer, Sweet Pleasure, and Warm Chocolate Lava Cake. The highlight at Bonheur Patisserie at Pasarbella is definitely its array of macarons with Asian flavours. If you are in the area, drop by and have a macaron or two. 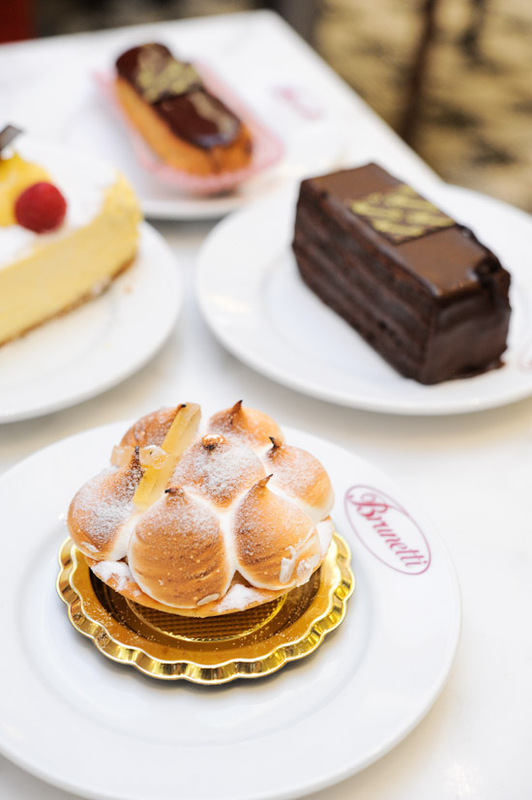 Brunetti is a famous coffee joint in Melbourne and it is a sweet addition to the Singapore food scene – figuratively and literally. The pasticceria and coffee bar takes up the space formerly occupied by whimsical restaurant Oomphatico’s, and it offers a pleasantly mind-boggling variety of cakes, pastries and tarts. 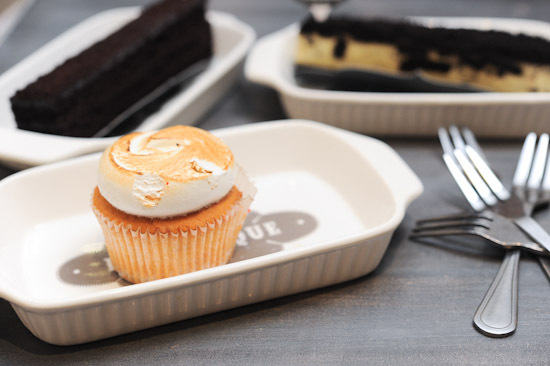 Located along Jalan Besar, Butter Studio is a halal-certified bakery cafe that specialises in cakes, cupcakes and tarts that are baked freshly on premise. Some of the must-try desserts include Salted Caramel Red Velvet, Chocolate Marshmallow Cupcake, and the much-lauded Sea Salt Nutella Tart. Strawbery Tofu Cheesecake, Peach Tofu Cheesecake, Red Velvet Cake, Hummingbird Cake… The cake selection at Cake Spade will make you go weak in the knees. Perfect place to go for an afternoon break for those who are working in the Tanjong Pagar area. Carpenter and Cook is a vintage cafe, though we prefer to think of it as a pretty dessert hideout. With a fascinating and somewhat whimsical interior, this cafe is a gem of the West. No trip is complete without trying the signature passionfruit meringue tart. 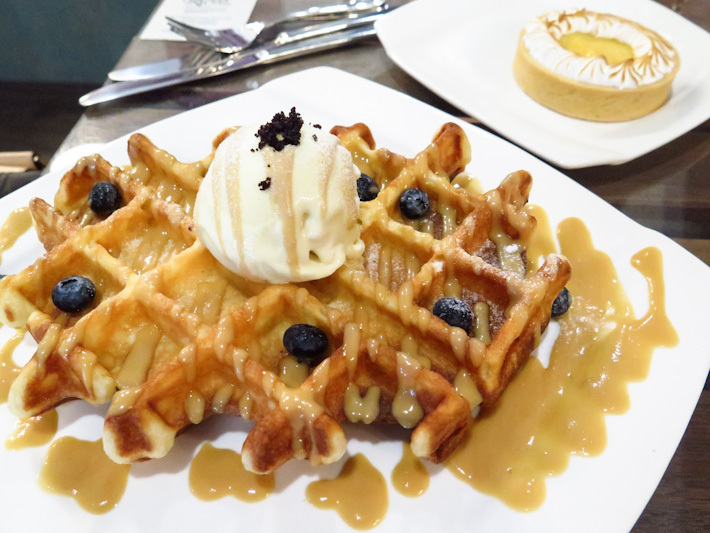 Hougang may seem like an unlikely place to find a French patisserie, but that is exactly where Ciel Patisserie is located. This small patisserie has a wholesome range of cakes (S$4.80 – S$5.80), and tarts (S$4.20). Some of the creations that you can look forward to are Lemon Meringue Tart, Chocolate Caramel Tart, Strawberry Shortcake, and Brownie. Everyone who has been to Dean & Deluca loves their bread selection. They are known to curate the best breads and pastries, and the store in Singapore is no exception. With bread from popular bakeries like Maison Kyser, Bakers & Co, and Bread Project, it is one pit stop to make when you are in town. ET Artisan Sweets is a bespoke cake boutique at The Grandstand, and they specialise in cupcakes, dessert tables, personalised cakes, and macarons. Having tried many macarons from different patisseries and cake shops, we are convinced that the macarons from ET Artisan Sweets rank amongst the best. Flor Patisserie is a Japanese Patisserie by Chef Yamashita, who left the popular Patisserie Glace to set up this humble dessert place at Duxton Hill. It is, without a doubt, one of our favourite patisseries in Singapore. The Strawberry Souffle is a must-try! A cake shop nestled in the quiet Everton Park estate (where you can also find Nylon Coffee Roasters), Grin Affair is popular for its mousse cakes in glass jars. Hatter Street is one of the newest dessert cafes to open in the heartlands. Located in a HDB estate – just a few units away from popular Thai eatery Nakhon Kitchen – it offers desserts with a twist. Expect intriguing creations like macarons flavoured with haw flakes, snickers cheesecake, matcha and red bean mousse cake, as well as a kumquat tart. 2013 was a great year for Singapore’s food scene, with many well-known restaurants and dining outlets opening on our shores, including New York’s Lady M Confections. 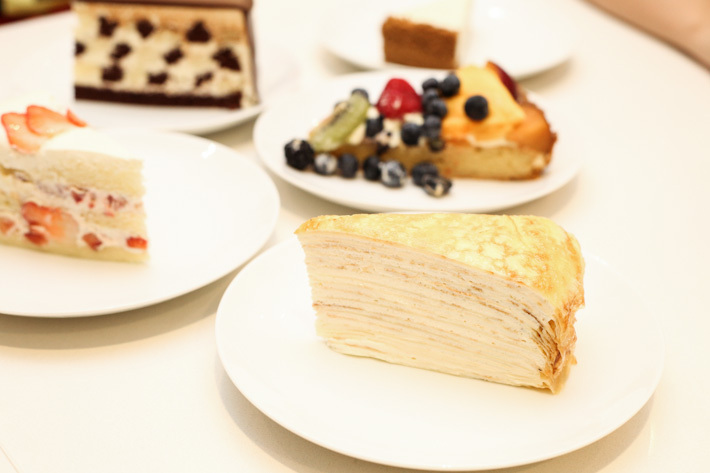 In addition to the signature Mille Crepes, Lady M also has a selection of cakes like Strawberry Shortcake, Tarte Aux Fruits, Strawberry Mille Feuille and Mont Blanc. With so many options to choose from, you will be returning again and again to try everything on the menu. Kreme Couture offer many cupcake flavours such as lemon raspberry, red velvet, banana French toast, but our favourites are the lavender, Thai milk tea and matcha with strawberry jam. Other than cupcakes, they also have brownies, bundt, molten chocolate cake and a gorgeous raspberry chocolate truffle cake. When it comes to chocolate desserts, no one does it better than Laurent Bernard Chocolatier. Formerly known as The Chocolate Factory, the newly renamed Laurent’s Café & Chocolate Bar has two branches at Robertson Quay and Portsdown Road. Dinners at the Robertson Quay restaurants are not complete without a trip to Laurent Bernard’s for a chocolatey sweet ending. For those who are staying in the west of Singapore, Lynn’s Cakes & Coffee at Eng Kong Terrace – just a few units down from Necessary Provisions – is a nice place to check out. 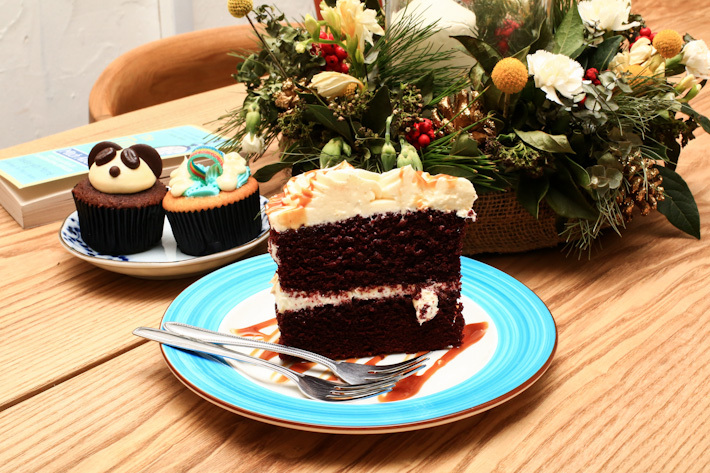 It is a clean and quaint little cafe where you can expect sweet treats like carrot cake, red velvet cake, chocolate cake and rainbow cake that are freshly baked on-site. Definitely a new great addition to the Bukit Timah neighbourhood. Many cafes and bakeries are starting to open in HDB neighbourhood estates, and one of them is Maple & Market. It is a new addition to the Old Airport Road neighbourhood and surely a hidden gem. Maple & Market is a small bakery with just a few seats. So it is probably not a place to linger. However, you should still drop by to pick up a few cakes on your way home. They also conduct baking classes for those who are interested to learn more about baking. Good coffee, delicious waffles, lovely cakes, gorgeous displays – this charming cafe fully utilised the small space and ticked all the right boxes. What do we need to say about Marmalade Pantry? 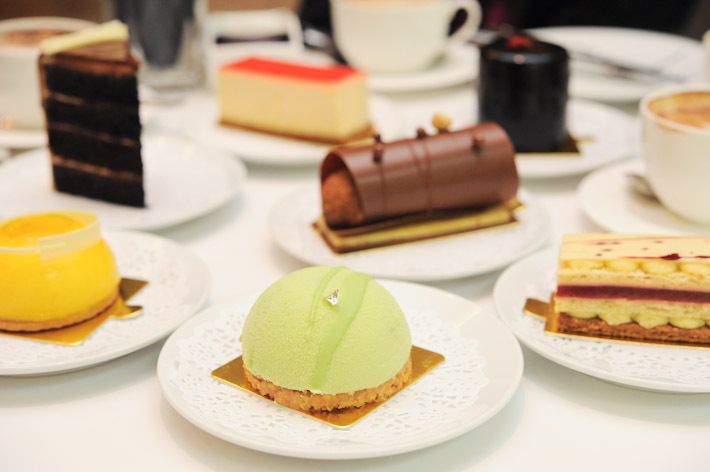 It is one of the most popular afternoon high teas (read: taitai hangout place) in Singapore. Cupcake lovers must have the ones from Marmalade Pantry. Crumbly, moist and flavourful, Marmalade Pantry’s Rose and Limonata are the best cupcakes in Singapore. Some of the other desserts that we like are the toffee date pudding and salted caramel cheesecake. Chocolate lovers must head to Max Brenner Chocolate Bar at Esplanade. The desserts here are relatively more expensive, but the satisfaction that you get in return from the richness of their quality chocolate will be worth every penny. It is easy to miss MU Parlour at Holland Village if you are not paying special attention to the shops on the second level. It is the kind of place that you would probably hear about from friends, and this was exactly how we came to know about it. MU Parlour has a very pretty and cosy space. It is a decent place to hang out, read a book, and watch the world go by under your feet. nydc has more than 30 desserts available on the menu. 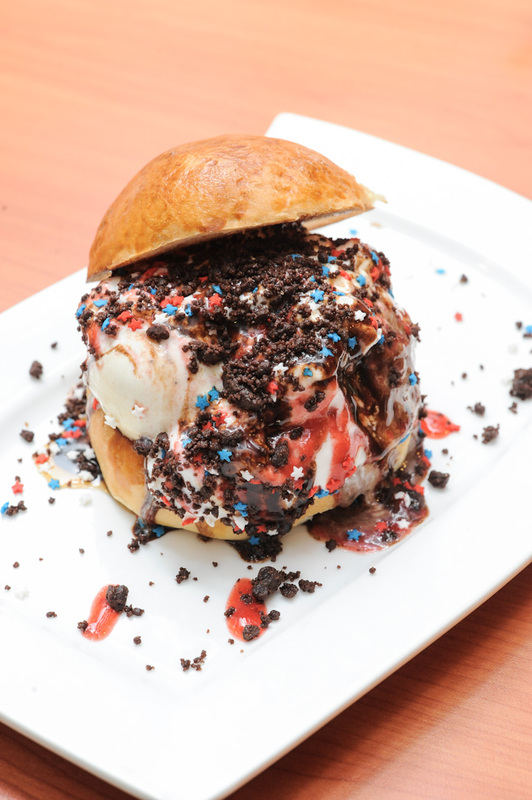 From mud pies to cheesecakes, to some of the special creations like I Screen Burger cake, and the High & Mighty, a 24 layers of chocolate fudge and sponge cake – you will never run out of choices at nydc. Opened by the owner of Artichoke Cafe, Overdoughs gives a modern take on the traditional flavours of Spain, Turkey, Greece, Morocco and the Middle East. Signature items include its handmade baklavas, and meringue tarts. Paul Bakery has opened in Singapore with much fanfare, and it is not difficult to understand why the French boulangerie/patisserie is packed with customers everyday, any time of the day. For those who have been to Europe, Paul Boulangerie is the place for them to relive those wonderful memories of having a warm croissant and a cuppa on cold, winter days. And for those who have no clue, we’d say skip the waffles and crepes, and go for their croissant and pain au chocolat. The mille-feuille is quite a treat, too! Everyone loves cupcakes, and it is hard to say no to one – especially if it is from Plain Vanilla Bakery. We are always on a lookout for the best cupcakes in Singapore, and Plain Vanilla Bakery stays as one of the top few on my list. 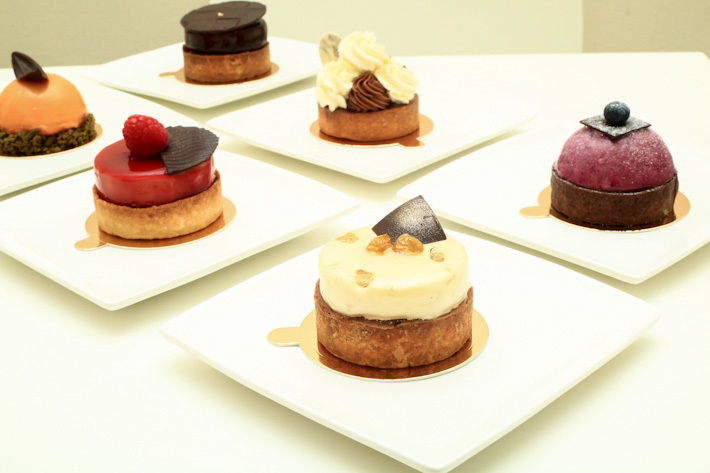 A terrific tiny patisserie in Millenia Walk, Patisserie G has a whole range of French desserts such as Saint Honore, Eclairs, Canele, but if we had to choose one, we would definitely go for their best-seller The G Spot, a dark chocolate mousse with chocolate meringue. For Japanese sweets, you cannot go wrong at Patisserie Glace. From strawberry shortcake to mont blanc, and Japanese chiffon, you can find everything here. All the cakes here are priced at around $4 to $6 per slice. Note: the retail outlet at Icon Village is a take-away kiosk. A concept by Chef Pang’s Sugar Daddy group, Pique Nique is an American Cafe that serves simple cafe food like Mac N’ Cheese and burgers. And dessert lovers will be thrilled to see the huge selection of cakes and desserts on the menu. The waffles are among the better ones we have savoured in Singapore. Tart Blanc at Millenia Walk specialises in tarts. Best sellers include Banana Chocolate Silk Tart (S$7) and Blood Orange Matcha Tart (S$7.50). We also love the Raspberry Praline Tart (S$7.50) and Blueberry Lavender Chocolate Tart (S$7.50). 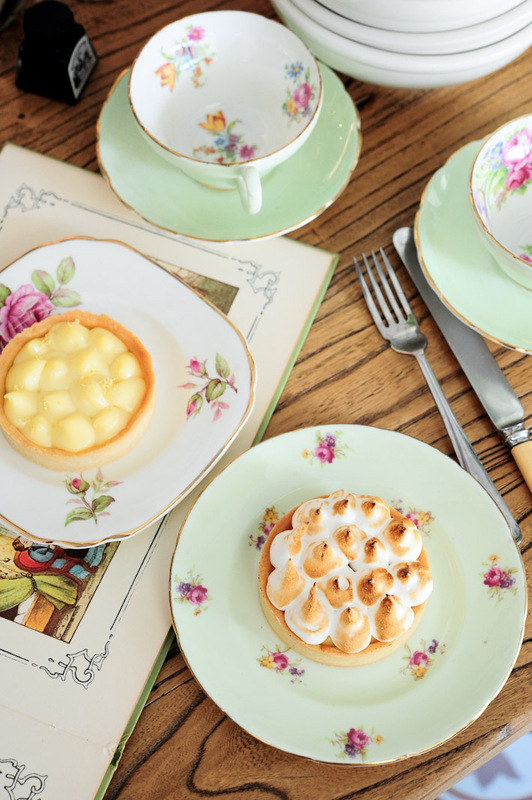 If you love tarts, this quaint cafe deserves your support. Tiong Bahru Bakery is opened in collaboration with celebrity baker, Gontran Cherrier. It started with much fanfare in the now-hip Tiong Bahru neighbourhood (Eng Hoon Street), and added a second shop at Raffles City shortly after. Some say they have the best croissants, though we do not agree. Nonetheless, with a comprehensive display of bread, pastries and desserts, there will be something for every taste bud. Believe it or not, The Connoisseur Concerto’s Dark Chocolate Cake is among the better ones that we have had in Singapore. They also have an extremely value-for-money high tea set at just $12.90++. 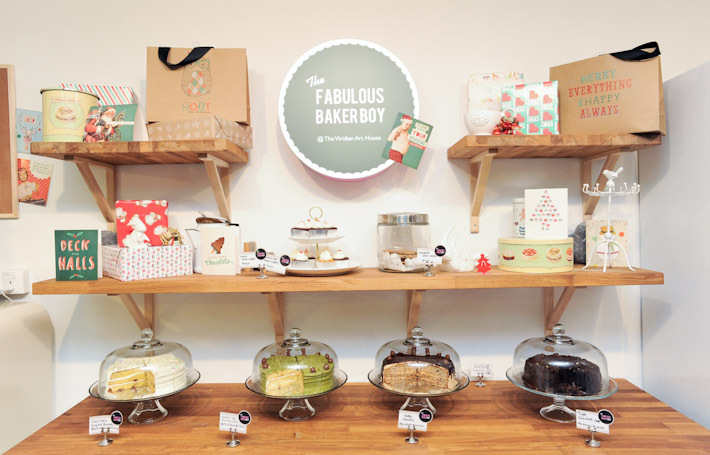 Located directly opposite Liang Court in The Foothills, The Fabulous Baker Boy is a cosy and homely space with, as the name has suggested, great cakes. They serve home-style cakes like Salted Caramel Chocolate Torte ($8.50), a rich chocolate torte with layers of salted caramel and dark chocolate frosting; Big Lub’s Carrot Cake ($8.50), a modern carrot cake with the addition of cranberry and coconut; and Triple Chocolate Cake ($7) – a delicious and addictive dark chocolate cake. Tsujiri is one of the most famous green tea shops, and an institution in Kyoto which is known for Japanese tea and matcha desserts. The good news is, we no longer have to fly all the way to Kyoto just to satisfy our cravings. Tsujiri has its first outpost in Singapore at 100AM Shopping Centre. If you have not been, come here for their famous green tea parfait. The next time you are in town and need a venue for meeting your clients, or simply want a nice and quiet spot for coffee and pastries, Tuxedo Cafe & Patisserie at Carlton Hotel Singapore is the place to head to. The desserts are to die for. Raspberry Chocolate Cake, Strawberry Cheesecake, Hazelnut Crunchy Eclair, Red Velvet Cupcake – just to name a few. The highlight for us is definitely the rich and luxurious Tuxedo Cake made with Valrhona chocolate. Wimbly Lu is among our favourite places for desserts, and we go there all the time and have, by far, tried all the desserts on the menu. We love the intimate and somewhat rustic atmosphere, and the fact that all the desserts are so reasonably-priced is what had our loyalty earned. While some of the desserts did not impress, the waffle and root beer cake are reasons enough for us to return time and again. 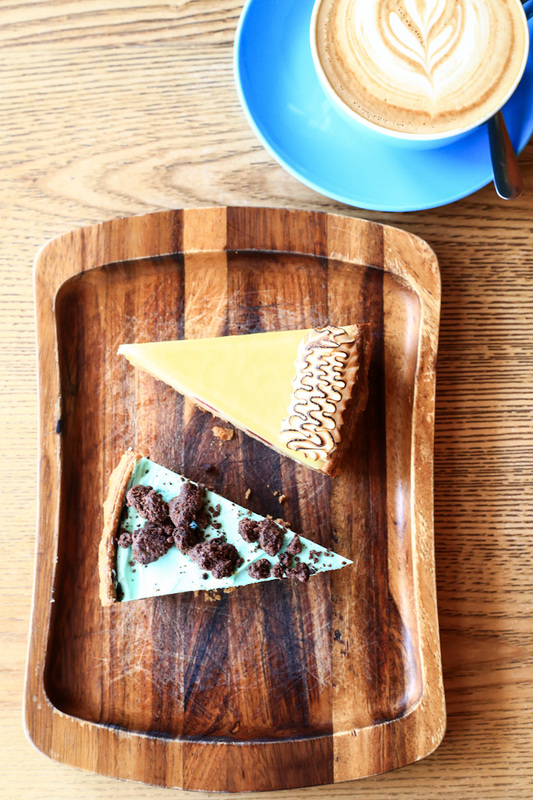 A cosy cafe at Jalan Besar that focuses on pies and only pies. No cakes, no cupcakes, only sweet pies like strawberry lemon pie, S’mores pie, pecan pie, and even a coconut lime vodka pie. 2am: Dessert Bar is located at the fringe of Holland Village, and it is quite the perfect place for a romantic late night dessert treat. Helmed by Janice Wong, her award-winning artisan desserts are fascinating to say the least. Try Fluffy Dessert at Tanjong Pagar Road just opposite those bridal boutiques. They serve nice & fluffy snow ice! Taste like ice cream! They have many other types of dessert too. Like Tong Shui. My boyfriend and I went to NYDC after dinner and had an 4/10 experience, I would say. We were not able to substitute anything on our pizzas and the walnut brownie has walnut SHELLS in it. My boyfriend literally bit into 4 pieces of walnut shells and had to spit it out. I kindly told the server and the kitchen fussed about it and convinced her that it was suppose to be in there. In all honesty I’ve worked at the restaurant industry and I know what good and bad service is, this was definitely a disappointment. Nydc is not worth it, I’d say spend that extra buck and go somewhere else. Mad About Sucre has some best desserts in the region! A must try for fellow sweet-toothies.